The Millennium Village Project (MVP) was initiated in 2005 as a means to implement the recommendations of the UN Millennium Project at a local scale in rural Africa. The main conclusion of the UN Millennium Project was that the Millennium Development Goals (MDGs) could be achieved if the high-income donor nations increased their official development assistance (ODA) to the long-standing UN target of 0·7% of gross national income (GNI). The evaluation of the MVP published in The Lancet Global Health reinforces the main message of the UN Millennium Project, and is relevant for the era of Sustainable Development Goals (SDGs): a small amount of funding goes far to achieve bold goals to alleviate the multidimensional burdens of rural poverty. The MVP was implemented under three over-riding principles: (1) an integrated rural development approach, with interventions spanning agriculture, environmental restoration, primary education, primary health care, and local infrastructure (water, sanitation, energy, and connectivity); (2) an incremental donor investment aiming at $60 per person per year; and (3) community- based delivery, with a focus on inclusive services for the community (farmer cooperatives, health systems, public education, and local infrastructure) rather than private income transfers or credits for individuals or for businesses. The focus, in short, was on grant financing for community-based capital. The project was undertaken in impoverished rural areas in 10 countries in sub- Saharan Africa with the cooperation of national and local governments and the communities. All ten Millennium Village (MV) sites operated for the entire 10 years of the project, during which investments and systems were successfully implemented in a phased manner. A multisector approach proved to be feasible in all the sites and a small lead team of around five local staff ensured support and continuity across hundreds of interventions spanning the major categories of farming, environment, health, education, and infrastructure. In no cases did the complexity of the project prove to be logistically or procedurally overwhelming. This was true even as donor funding for the MVP was limited to a mere $25 per person per year during the second phase. The project achieved significant gains in MDG-related outcomes, and significant impacts compared with matched sites on 30 of the 40 MDG-related targets. When grouped by major MDG-related category (poverty, nutrition, education, health, and infrastructure), significant impacts were found for every major category. The largest consistent gains were in health and agriculture. The outcomes on poverty were mixed, with no discernible impact on consumption-based poverty, and yet a positive effect on asset ownership. One plausible explanation for this finding is that most farm families seem to have directed increased incomes— from practices such as increased use of fertilisers and improved seeds, and strengthening of farmer-based organisations and cooperatives—mainly into durable assets (eg, latrines, piped water, better roofing or flooring materials) rather than non-durable consumption. We observed this same outcome in another project setting (northern Ghana) outside of the ten sites. In that site, too, households saved their incremental income as durable assets. This explanation is necessarily provisional given uncertainties in the data. As is typical in rural settings, we had difficulty for several reasons in obtaining precise measurements of household income and consumption: inaccuracy of recall on surveys, high seasonality of consumption flows, irregular purchases of capital assets, and under-reporting of incomes by households. We regard the data on assets to be more reliable than the data on incomes and consumption spending, as household assets were directly observed by the survey teams. The project achieved around a third of the MDG- related targets and fell short on two-thirds, although with at least some progress towards most of the targets. However, even when impacts were favourable, they were often insufficient to reach the ambitious targets. I suspect that there are four main reasons for this shortfall. First, the MVP inherently lacked economies of scale—a point we of course recognised from the start. Because of the lack of scale economies, the benefits to an MVP site of receiving $60 per person per year were smaller for the MVP community than if the entire nation had received the same $60 per person per year. The MVP could build a local road, or a local micro-grid, but without the benefit of a national road network and power grid, the impact was restricted. The MVP could control a local disease outbreak, but not prevent its reintroduction from a neighbouring community. Furthermore, the international community utterly failed to follow through on its commitment to raise ODA to 0·7% of GNI. For the 29 donor countries of the Organization for Economic Cooperation and Development (OECD) taken as a group, the total ODA as of 2016 was a mere 0·32% of the combined GNI, signifying a shortfall in aid from these donor countries of roughly US$170 billion per year. Lacking adequate ODA, the interventions advocated by the UN Millennium Project could not be implemented at national scale in low-income Africa, and Africa as a whole fell short on the MDGs, with inevitable adverse consequences within the MVs as well. The MVP was meant to offer guidance on national scale-up, but the national scale-ups were generally constrained by limited ODA. Second, and related, the MVP focused on only one of the three pillars of national poverty reduction. The MVP focused on rural development, not on urban development nor on national infrastructure (roads, rail, power, fibre) connecting rural and urban areas. Most importantly, the MVs did not benefit from complementary donor spending to boost urban jobs and incomes. Given the tiny sizes of many rural farms (often below 1 hectare), and the still rapidly growing rural populations, rural poverty will not end without the rapid growth of urban job opportunities alongside the higher productivity and incomes of farm households. Third, as an island of relative prosperity in the midst of poverty, the MVP’s resources inevitably were shared beyond the MVs to the neighbouring areas, thus diminishing the spending per person and impact within the MVs. Partly, this sharing occurred as individuals from neighbouring communities came to the MVs to use the clinics, schools, and other expanded facilities. Partly it resulted from the tendency of local authorities to direct incremental budgetary resources towards non-MVP areas. This dilution of the MVP investments was natural, unpreventable, and inevitable. Fourth, the MVP was underfunded in the second phase. In 2005, the project began as a 5-year effort, but by 2007 the MVP leadership team realised that the communities would need the full 10 years to 2015 to achieve the MDGs. Yet the MVP was able to raise only half of the $60 per capita for the second phase, and thus per force implemented a ramp-down of project funding between 2011 and 2015, which averaged $25 per person per year during the second 5-year interval. As is widely recognised, there are important synergies across investments in health, education, agriculture, and infrastructure. Healthier children learn better and attend school more reliably; schools teach health-promoting activities; infrastructure such as electrification and clean water enhance both health and education. It used to be supposed that complex, multisector projects might be too hard to implement. We found that this was not the case: there were not only synergies in outcomes, but also important synergies in implementation across sectors. One of the most important means by which the MVP achieved such synergies was by instituting an effective real-time information platform. The MVP built a monthly information system based on local vital events reporting (births, deaths, and cause of death), reports from health workers and clinics, reports from schools, and additional data. Building a common information platform took time, and gained a high degree of performance only after the widespread uptake of smartphones (2012 in the MVs). Other synergies emerged in the project’s interactions with the local and national governments, local and foreign universities, the business sector, and UN agencies. These counterparts were themselves working across several sectors, so the MVP, as an integrated development project, found an important multisector interface with these counterparts regarding information exchanges, partnerships, staffing, funding, and technical support to and from the project. The MVP looked very different in 2015 from its launch in 2005. Fortunately, the project was not based on testing the effects of a specific and fixed set of interventions. It was instead based on reaching a specific set of targets. Throughout the project, the available technologies to achieve those targets improved rapidly. The project adjusted accordingly, regularly upgrading the interventions deployed in the MVs in line with the global technological progress. Consider briefly the case of malaria, one of the priority targets of the MVP. At the start of the MVP, malaria diagnoses and treatment were largely facility-based, with trained microscopists reading blood smears. The newly available artemisinin-based treatments were gradually being introduced via clinics. Mothers had to carry febrile children long distances to reach the clinic, and many did not make it in time. Most bednets as of 2005 still required frequent retreatments with insecticides in order to maintain their efficacy, and many nets were left untreated. Overall bednet coverage was very low. By 2015, all this had changed. Rapid diagnostic tests for malaria were now available. Community health workers (CHWs) used these at the household level, and carried artemisinin-based treatments. The CHWs were supported by supervisors and by expert systems on smartphones. The bednets were redesigned to maintain the insecticide for the lifetime of the net. The MVP was an early adopter of each new antimalarial technology (long-lasting insecticidal bednets, rapid diagnostic tests, artemisinin-based treatments at household level, CHW deployments, smartphone applications, real-time data- based adaptation of interventions and management), and the MVP experience accelerated the adoption of these effective control measures at both national and global levels. Similar ongoing advances are now available for other aspects of rural health care (telemedicine, teledentistry, remote monitoring, expert systems), education (online curriculum, linked classrooms), infrastructure (solar and wind microgrids, solar-powered irrigation, remote monitoring of infrastructure), agriculture (precision farming, soil moisture monitoring, etc). In all cases, the MVP endeavoured to keep abreast of the latest technologies and to provide a base for their rapid uptake. gender equality (SDG 5), universal access to water and sanitation (SDG 6) and electricity (SDG 7), as well as several environmental goals related to climate (SDG 13), pollutants (SDG 12), urban environment (SDG 11) and biodiversity (SDG 14, 15). To achieve these bold goals, governments will need to implement integrated rural and urban development plans over a period of a decade or more, and to do so at all levels of government, from local communities to the national government. The lessons from the MVP are highly pertinent. Multisector planning, budgeting, implementation, monitoring, and evaluation are feasible and necessary. Information platforms can be created for multisector plans and programmes. Computer technologies, including artificial intelligence and big data (responsibly managed), offer new cutting-edge solutions. The lessons of the MVP suggest the following key steps. (1) Set clear targets to 2030. (2) Identify key interventions and budgetary needs. (3) Form teams from national to local level prepared to work in an integrated manner. (4) Establish real-time information systems. And (5) don’t expect a quiet life! Rapid changes in technology, and even in geopolitics, will force considerable innovations, systems changes, and improvisation, between now and 2030.
a retrospective, observational, endline evaluation. Lancet Glob Health 2018;6: e500–13. 3. 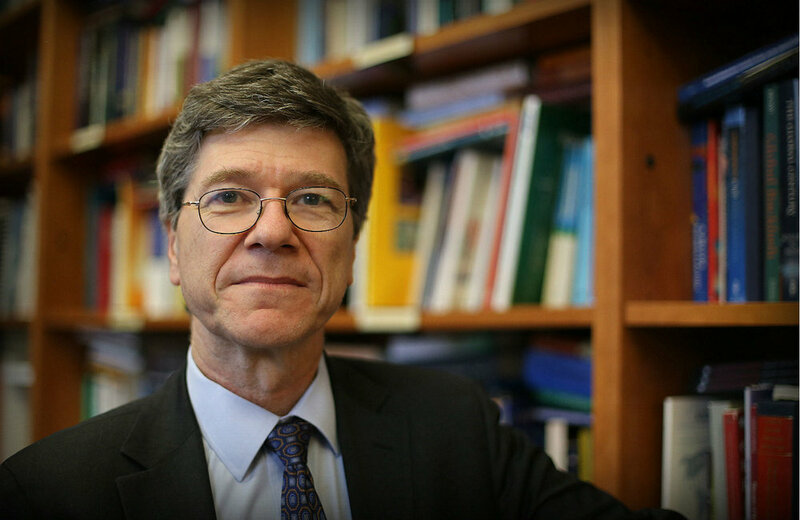 Jeffrey D. Sachs. Lessons from the Millennium Villages Project: a personal perspective. Newer PostWorld Migratory Bird Day!